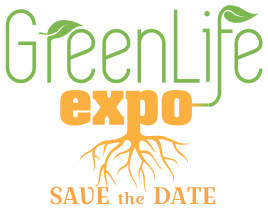 Green Life Expo - Save the Date! Saturday, January 28th, 2017, 10:00 a.m. – 4:00 p.m. This year, the Athens-Clarke County Recycling Division and the Athens-Clarke County Library partner for the first time to present the 2017 Green Life Expo. The event is designed to educate businesses, families, and individuals on ways to lessen their carbon footprints while saving natural resources. The event has various exhibitors there to help educate guests, as well as kids activities and adult/family make-and-take workshops. 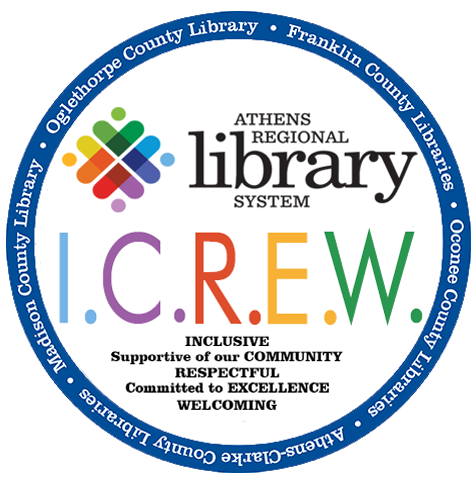 The event will be held at The Athens-Clarke County Library, 2025 Baxter St. Athens, GA 30606. 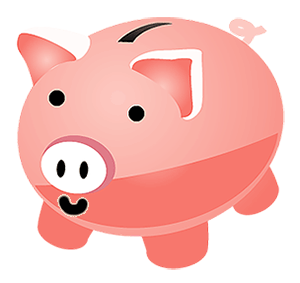 Come to the Athens-Clarke County Solid Waste Department (725 Hancock Industrial Way Athens, GA 30605) to pay by credit card. ALL PAYMENTS MUST BE SUBMITTED BY MONDAY JANUARY 2ND. To sign up for a booth, please fill out this form. Booth space is limited! 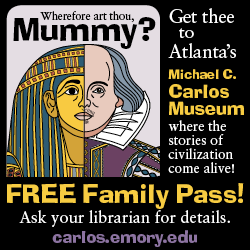 Michael C. Carlos Museum Family Passes now available to check out! Georgia Public Library System has partnered with the Michael C. Carlos Museum. 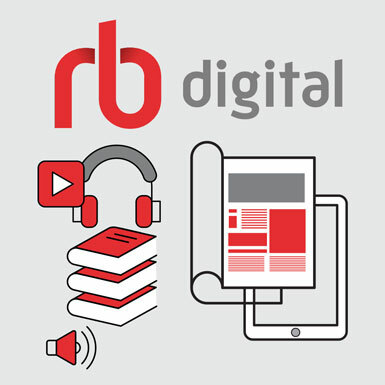 Patrons can check out a family pass at their local library, which covers up to six admissions to the museum. The Carlos Museum is now one of the Southeast's premier ancient art museums with major collections of art objects from ancient Egypt, Nubia, Near East, Greece, Rome, ancient Americas, Africa, and Asia, as well as a collection of works on paper from the Renaissance to the present. The Museum also features traveling exhibits, including the upcoming exhibition of Shakespeare's First Folio, set for Nov. 5-Dec. 11. More information on the Museum can be found at www.carlos.emory.edu. For more information on checking out the pass, visit our Park and Museum Passes webpage. Just around the corner, starting November 5, our friends at the Michael C. Carlos Museum open The First Folio: The Book That Gave Us Shakespeare. At a vibrant and peppy 393 years old, the First Folio is the first collected edition of Shakespeare's plays. The Folio was compiled by his fellow actors and had they not, many of these plays would be lost to time. It also contains one of the only two likenesses of the man himself considered to be authentic. And it's in Atlanta.